TechnoFile introduces Paramount's Sapphire Series Blu-rays and Eagle Rock's Concert BD's. The Blu-ray format continues to plug forward, offering ever more enticements to consumers to move from the old fashioned DVD to the terrific new, high definition disc format. Paramount Pictures is the latest studio to up its Blu-ray ante, with the announcement of a special line of "Sapphire Series" discs that will go head to head with other special edition discs such as Disney's Platinum Series. 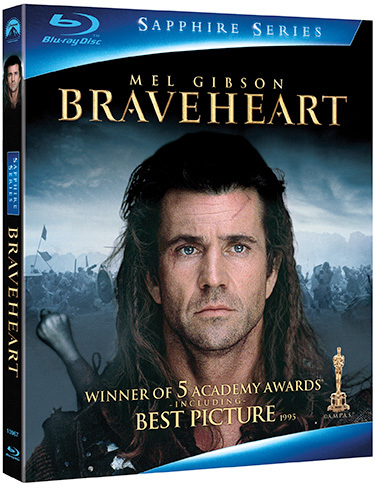 Paramount's first Sapphire Series Blu-rays will debut on September 1 of this year as Gladiator and Braveheart finally hit the high def format. Forrest Gump will follow at the beginning of November. According to Paramount's news release trumpeting its arrival, the Sapphire Series will "capitalize on the pristine picture and sound of the Blu-ray format to present each cinematic gem in the highest quality for the first time in two-disc, high definition sets." The description reminds me of Sony's Superbit series of DVD releases, which were single disc releases that eschewed supplemental materials in favor, instead, of using the discs' limited storage space to ensure optimal audio and video quality. The difference, besides high definition, is that that Paramount's kick at the can will still offer plenty of extras via a second disc. Gladiator and Braveheart excellent choices with which to kick off the series, since both are Best Picture Oscar-winners, with each copping a total of five of the little golden guy statues in total. Gump won six Oscars, by the way. "It’s absolutely fitting that we’re presenting the best films in the Paramount library on the finest home entertainment format available," said Rob Moore, Vice Chairman, Paramount Pictures. "Because of Blu-ray’s phenomenal capabilities, the Sapphire Series will deliver the best pictures in the best picture." Paramount also says each release will include "extensive, never-before-seen special features for the ultimate presentation." 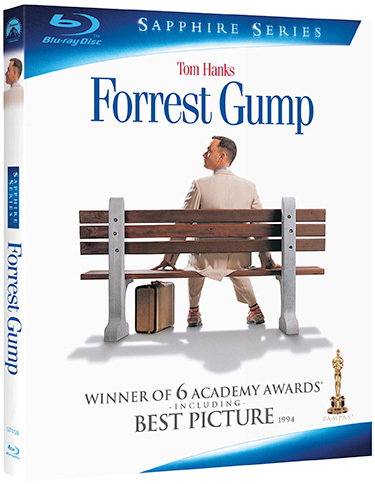 While all three movies should look and sound great on Blu-ray, Forrest Gump is the one to which I'm looking forward the most. Robert Zemeckis' excellent tale of a mental midget who proves to be a giant among men is not only a wonderful movie but it is also a little more accessible to people who might not want to experience the violence of Braveheart and Gladiator. It's also a technical tour de force, with its digital blending of Tom Hanks and various historical moments. It appears Zemeckis is on board the Sapphire Series train happily. "I’m delighted that Forrest Gump is going to be a part of Paramount’s Sapphire," the director is quoted in Paramount's press material. "It’s wonderful that Paramount is taking the time to produce exceptional Blu-ray presentations of these classic films." Incidentally, and probably not coincidentally, Gump celebrates its 15th anniversary this year, which gives Paramount's marketers yet another hook. The studio isn't releasing all the info of the Forrest Gump Sapphire Studio release yet, except to say that some new material will be only available on the BD version including, presumably a "brand new roundtable discussion." Production: A comprehensive chronology of the motion picture from conception through theatrical release, from a behind-the-scenes point of view. Historical: Chronological modules feature Scotland’s greatest patriot, along with historical places, figures and events surrounding his life and struggle. Fiction: A comprehensive timeline identifying the chronological events of the film. And Braveheart: A Look Back will feature new interviews with members of the cast and crew reminiscing about their experiences making the film and opining about its enduring impact on cinema. Smithfield: Medieval Killing Fields showcases the history of the site where William Wallace and others were executed. "Battlefields of the Scottish Rebellion" will give 3D models of Falkirk and Bannockburn for "further investigation into the military strategies and timetables employed in each." It includes an "alternate playing mode" that will allow the story of each battle to unfold in an "automated fashion, much like the interactive dioramas displayed at historical site museums around the world." If nothing else, it sounds interesting. All this stuff is gravy, of course. As a video snob, I'm hoping that the audio and video presentations of the features themselves will be worth the price of admission by themselves. And there's no reason it won't be, because a well-done Blu-ray truly can take away your breath. That's the Paramount movie update. If you're into music instead, you might be interested in checking out the wares of another company that's blazing its own trail in the Blu-ray world. Eagle Rock Entertainment is releasing an increasingly long and interesting line of concert videos that combine HD video with state-of-the-art audio for a great home theater experience. I've auditioned quite a few of these titles and while the audio and video quality varies widely – mostly because of the wide variety of time frames and venues of the concerts and the equipment used to record the musicians - overall it's great stuff. The overall quality ranges from merely okay (The Who Live at the Isle of Wight comes to mind, though even this title is the best video incarnation of this classic concert to be released to date) to absolutely bloody spectacular – as in the case of Ray Charles Live at Montreux, which is one of the best concert experiences I've seen on video. The Eagle Vision HD Blu-ray line covers a variety of genres, mostly rock, jazz and blues. I've watched concerts from Queen, Jethro Tull, B.B. King, John Mayall, Asia, Jeff Beck and many others (the latest one I received is by the Black Crowes) and they're not only a great way to groove to tunes of some of your favorite musical giants, they're also great introductions to artists you may not have known. This was the case for me with John Mayall, the British blues maven whose 70th birthday concert may not be the best example of HD audio and video, though it's no slouch, but which is an absolutely scintillating concert in its own right. The discs are released generally in 1080i, which isn't as good as 1080p, but I doubt the difference will affect your enjoyment in the slightest. 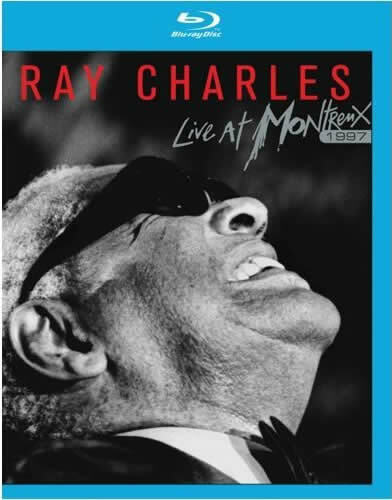 On the best, such as Ray Charles, you almost want to reach into the screen and wipe the sweat from the musicians' brows. Audio tracks are offered usually in linear PCM stereo, Dolby Digital and dts HD Master Audio, the latter of which I have found is usually the most enjoyable version. Eagle Rock seems to release a new title every few weeks and deserves kudos for the variety and the quality of these concert discs. For a current listing of their Blu-ray titles, surf by their site at http://www.eaglerockent.com/eaglerockUSA/media.php?label=b.